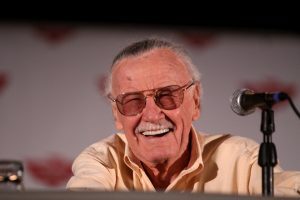 As the former editor-in-chief of Marvel Comics, Stan Lee had a great influence on the comic book world and within his esteemed company. From Spider-Man, Iron Man, Black Panther, the X-Men, and many more, Lee created countless enduring superhero characters that have taken the world by storm. In fact, there is not much of Marvel that has not been developed or supervised by Lee. His work is often remembered not just because of his imagination, but also his emotionality. Although he passed away in 2018, Lee will be remembered for his grounded and complex characters that inspired and captured the imagination millions of fans. Though his legacy is secured as astounding and deeply influential, Lee’s creations often took a while to become popular. According to IGN, “Thor was elevated by creators like Walt Simonson, who tapped more deeply into the mythic quality of Asgard and its gods. Black Panther needed someone like Christopher Priest to really capture the struggles faced by an African king who occasionally masquerades as a superhero. Daredevil only became what he is now after Frank Miller went to Marvel and re-imagined him as a tortured ninja hero” (Schedeen, Jesse). But this type of collaboration is key in the artistic world, especially in the sphere of comic books. Lee was said to contribute mostly with his humor, epic storytelling style, and his marketing wizardry. In combination with other creators’ talents, his work flourished. Yet, in the case of Spider-Man, Lee and his team struck gold from day one. As stated by IGN, “Only with Spider-Man do those original Lee/Ditko stories remain the gold standard by which all others are judged. Everything from Peter Parker’s background as a nerdy outcast to the rich cast of allies and enemies combined to create the perfect storm of comic book storytelling” (Schedeen, Jesse). But rarely does any creative project come to fruition so quickly. His main legacy may not be the creation of so many iconic comic characters, but how he inspired others to create their own characters and to treat characters’ worlds with care. Before Lee, comic book characters were usually less complex and worldly. According to Hollywood Reported, “Beginning in the 1960s, the irrepressible and feisty Lee punched up his Marvel superheroes with personality, not just power. Until then, comic book headliners like those of DC Comics were square and well-adjusted, but his heroes had human foibles and hang-ups; Peter Parker/Spider-Man, for example, fretted about his dandruff and was confused about dating. The evildoers were a mess of psychological complexity” (Barnes, Mike). This sense of reality in the superhuman world brought untold benefits to the Marvel franchise, as the comics were later adapted into blockbuster films that connected with audiences worldwide not only due to their imagination, but also their emotionality. A lot of this emotionality had to do with fighting for justice in terms of civil rights. In fact, one can say his best work was created at a time when civil rights was at the forefront of the news and people’s attention in the United States of America. According to the BBC, “From The Fantastic Four to the X-Men, his heroes were outsiders who fight for a better society – no surprise given they were created during the height of the civil rights movement. X-Men has often been praised for its portrayal of mutant oppression and its reflection of the fight for civil rights. Alongside his long-time collaborator Jack Kirby, Lee also created Black Panther, the first black superhero to appear in comics” (Rumble, Taylor-Dior). Just recently, the film adaption of Black Panther became the most successful Marvel release at the box office. This sends a message to black people that they can be powerful, important, and smart. Stan Lee can be said to be the godfather of modern comic books. With his grounded, complex characters that went beyond normal comic book heroes, he wove epic stories that captured the imagination of readers and inspired a new generation of artists to breathe new life into the genre. From Spider-Man, X-Men, Black Panther, Iron Man, and more, Lee and his team created characters that will last and inspire for generations to come. Schedeen, Jesse. “The True Legacy of Stan Lee at Marvel Comics.” IGN Boards, IGN, 12 Nov. 2018, www.ign.com/articles/2018/11/12/the-true-legacy-of-stan-lee-at-marvel-comics. Barnes, Mike. “Stan Lee, Marvel Comics’ Real-Life Superhero, Dies at 95.” The Hollywood Reporter, The Hollywood Reporter, 12 Nov. 2018, www.hollywoodreporter.com/heat-vision/stan-lee-dead-marvel-comics-real-life-superhero-was-95-721450. Rumble, Taylor-Dior. “How Stan Lee’s Superheroes Helped Change the World.” BBC News, BBC, 13 Nov. 2018, www.bbc.com/news/entertainment-arts-46192799.